4 Social Media Metrics That Really Matters! Home > Blog > Blog > 4 Social Media Metrics That Really Matters! It been so many years social media has brought a revolution in the way you communicate to the world. It has made it all so easy. Now everyone one of us are sharing the same patio be it the individual or the marketers making it far more easier to have a quality communication with whoever you want if they are present on social media. Everything has become live and transparent with the emergence of social media. In such case, when social media has gained so much of importance, marketers must know how to better utilize it to gain a better return on investment for which they need some metric to work on and evaluate their performance and optimize it where required. Let me go ahead and share with you about four very basic metrics that you must consider while going ahead with social media in order to save time and effort both. You are spending a quality time on different social media channels in order to grow your audience and attract visitors. It could be little bit tough to decide as to which social channels are working for your business and which are actually just engaging your time without giving any results that worthwhile. You need to know about how many visits, leads and customers each social channel is generating. For this you can take the help of tools like Google analytics to figure out the reasonable amount of requisite data. Google analytics helps you with different data such as site referral reports, social activities report and so on. These reports let you know about how many visits and interactions your social media efforts are generating that helps you develop an insight about where to invest. 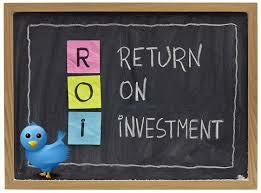 ROI Statistics: Is social media in actual fact generating leads and sales for your business. It’s not hidden I mean all of us very well know that ROI data is one of the most important metric for your business and to get this data you need to integrate your marketing analytics to your contact database or CRM whatever is there. This is how you connect your marketing activity directly to your sales activity in order to accomplish a complete funnel view of your efforts. Not just that it also allows you to maintain a balance between inbound and outbound methods. Through this data you get to know about how social media benefits your overall marketing strategy and develop insights about what it will deliver in the coming months. Now when you know this it becomes easier for you to set goals and make adjustment accordingly in order to do better than previous months. 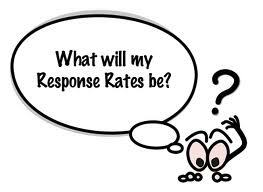 Query Response Rates: Are you acknowledging to customers post in social media? More and more people out there who have some query, or are frustrated or are generally engaged with companies on social media outlets prefer social media rather than using a phone to express their feelings. A recent study unveiled the same fact as how 1 in 3 people who use social media choose social media in order to contact the company and not the phone. Hence, in such scenario you really need to be very attentive and be ready to acknowledge to what your customers or visitors are saying to you and not become a matter of another frustration for them. Never leave your customers’ question unanswered. Keep a track of how many customers are mentioning your brand and how many of these enquiries be given response. Although it could be difficult to catch every single enquiry depending on the quantity of your activity however you should still strive to maintain a 100 % connect rate. At least if you have missed out to some enquires you still have an alternative to find out how many of the customers queries were left unanswered and then you can work against this metric to pacify to what you have missed. 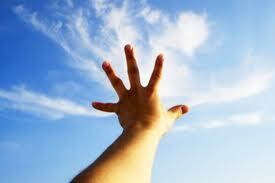 Reach and Customer’s Action: What customer did to your post? Well! This one is little bit tricky as by reach you don’t mean only the number of fan or follower base that you have. However, it is rather how many of them performed anything with your post such as liking it, sharing it or something like that. Let me tell you as to why it is important to know about your customers ‘action in response to your post. Because, even search engines take customers actions like sharing or liking into account while ranking your webpage. Well! These were a few metric that you must consider in order to save your time and efforts both while going ahead with social media. It will help you prioritize your work depending on the different social media metric. 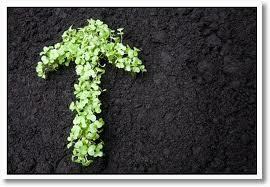 You will have a better understanding as to where to invest your time and why. One must set the goals before starting any work and so is the case with social media too.